Thinking about upgrading your phone? The recent release of the new Apple iPhones means it’s the perfect time to trade in and upgrade. Plus, if you’re not interested in this year’s new iPhones, now’s the best time to get a “new” mobile without paying the premium for the latest and greatest. New iPhones releases mean discounts on so many ways! With every new iPhone launch, the tech world stops and takes notice, and the rest of the world hurries to trade in their old devices to make some quick cash for the hot new thing. Or, they play it smart and simply upgrade to one of the older iPhones that now feature a lower price tag to compensate for fewer exciting new features. But, regardless of which phones people are buying with their new trade-in cash, new Apple launches mean new ways for you to upgrade your device. From years and years of past iPhone models to their Samsung and Google counterparts, an annual increase in older phones being traded in mean you have access to an even bigger selection of mobile devices, with better prices than ever before. Beyond great selections and prices, you still might be wondering if it’s the best time to for you to grab your trade-in, refurbished mobile device. Sure, you might not need an upgrade, but you also don’t need a color TV. They sure are lovely to have though, aren’t they? So, you can use this special time of year to get yourself an upgrade, while also saving some money, AND getting features you didn’t know you wanted or needed. 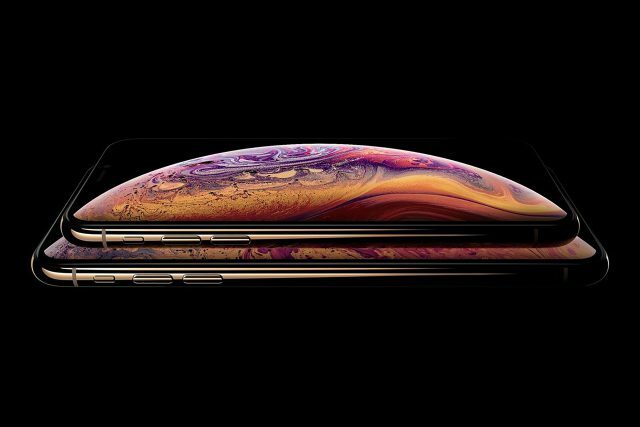 With the launch of new iPhone XS, iPhone XS Max, and iPhone XR devices, the famous elongated display and bezel-free screen of the X is available on even more phones. It also means the 2017 iPhone X itself, though discontinued, will become more readily available through Mazuma ReNew and other sources as Apple superfans trade theirs in. That means if you have an older model, you can upgrade to the bigger, better, more beautiful 5.8-inch iPhone X screen while also enjoying its Face ID, wireless charging, and Animoji features at a lower price than those Apple superfans paid. Sure, with a giant screen like that, your thumbs may get a bit tired, but your eyes won’t be complaining one bit. With the new launch comes a new, updated operating system (iOS 12) that’s coming to every iPhone, all the way back to the iPhone 5S from 2013. New software features include customisable notification features, Group Facetime, and interesting updates to Siri, called Shortcuts, which allow you to train her based on specific commands, making Siri not only easier to use, but more fun. This update means you won’t be missing out on most of the latest software innovations if you opt to upgrade to a refurbished iPhone 7 or 8 instead. Apple has also discontinued the iPhone SE, iPhone 6s, and iPhone 6s Plus. This means you can no longer buy a new iPhone with a headphone jack. For some people, they love the innovation, but if you’re still a headphone jack loyalist, steer clear of anything past an iPhone 7, and opt in for a much more affordable iPhone 6 ReNew. Then you don’t have to worry about losing those infamous headphone dongles when you just want to take a call or listen to some music or podcast. With Apple doubling down on their thousand-dollar X models and simultaneously discontinuing popular lower-priced phones, and even dropping their cheapest model altogether, people are more likely to hold on to their phones even longer, upgrade less often, and trade down for lower-price models when they do replace their phones. That means exploring the trade-in market has never been, and may never again be, such an opportunity to find both low-cost and high-quality devices while Apple superfans are still busy waiting in line. With every launch, lower price tags on refurbished, rejuvenated, or renewed phones become a hot sell, especially as each year’s new iPhone release continues to increase in cost. That’s why more and more (smart) people are buying cheaper second-life — yet renewed — smartphones as newer phone models get more and more expensive. In fact, the global market for refurbished smartphones grew 13% y/y in 2017. This was in contrast to the new smartphone market that only grew a meager 3% during the same time globally. That’s not only due to an increase in smartphone prices, but also major advancements in the technology and processes associated with renewing devices. For those exploring the trade-in market for the first time, refurbished phones are pre-owned, second-hand devices that are repaired to be sold again. Most of the time, when people think of used or refurbished phones, they think of old, scratched, half-broken, or half-working. And, they’re often exactly right. However, Mazuma offers a great step forward in the remanufacturing of devices. It’s called ReNew. These expertly re-crafted devices use only the latest advancements to work, look, and feel exactly like new. With prices on new phones rising year over year, and people rushing to trade in their old phones for their chance to upgrade, now’s the ideal time for you to save some money while still finding the new phone you love. So, you ready to find your new phone? Click here to find your ReNew phone!